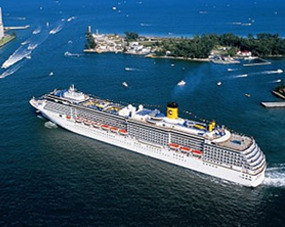 Our Quality Inn & Suites is among the most convenient and affordable Fort Lauderdale cruise ports hotels, and we even offer special packages for our cruising guests. When booking with us, you can expect all the luxury and amenities you need, including free continental breakfast, spacious guest rooms and a new, contemporary style. 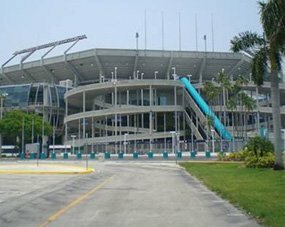 Located just minutes away from the cruise ports in Hollywood, Florida, we even offer a shuttle to and from Port Everglades and Fort Lauderdale cruise ports, as well as the FLL airport. So don't hesitate! Book your stay with us and experience the highest quality in guest services around. During your stay, you'll also be able to take advantage of all the local hot spots, beautiful beaches, restaurants, entertainment, shopping, nightlife, sport arenas, concert arenas and more. 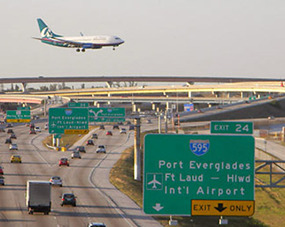 Our hotel is easily accessed from the Florida Turnpike and Interstate 95. Make sure to call us direct to find out about our park-n-cruise deals. Quality Inn & Suites is a smoke-free, pet friendly hotel with only one goal, and that is customer satisfaction! Every newly renovated, spacious, and beautifully decorated room has FREE WI-FI service, and each morning, you will be greeted with a FREE continental breakfast! So now, our guests can add to our list of amenities and accommodations, greater transportation and shuttle services as well! Remember, you always GET THE BEST PRICES when you BOOK DIRECT, so you can give us a call today, or simply click on the "Book Now" link, and get your trip started now! 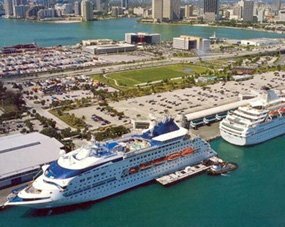 So book your next stay with us, one of THE BEST, most exciting Fort Lauderdale cruise ports hotels around; we will not disappoint you!